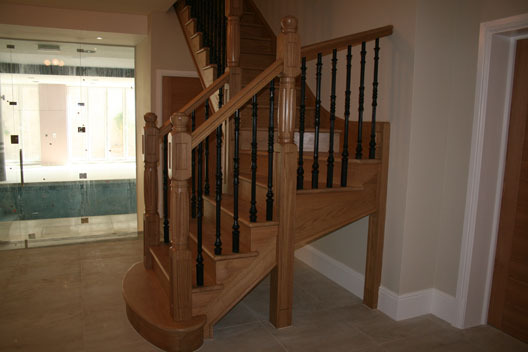 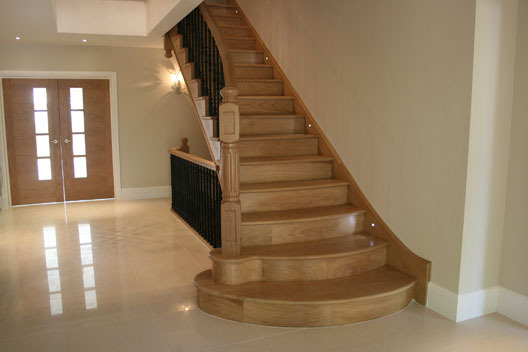 British Spirals & Castings’ design and manufacturing teams create splendid solid timber staircases, and the finished appearance can be astounding, complementing any space, domestic or commercial. 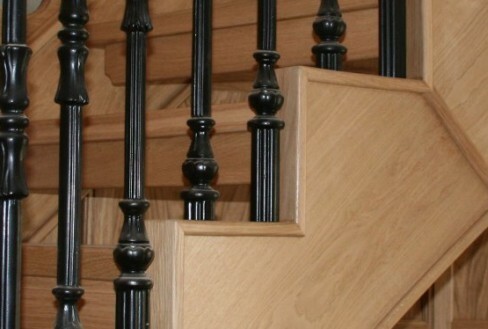 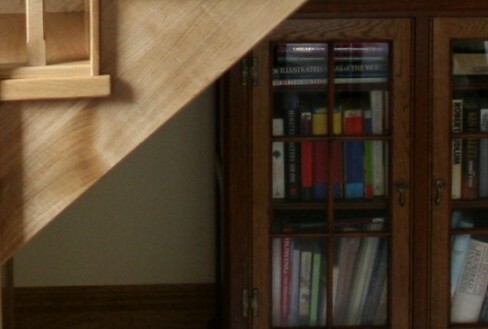 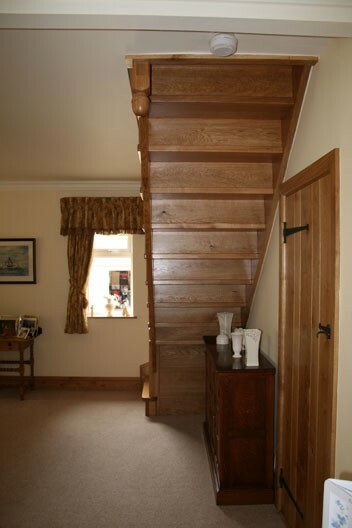 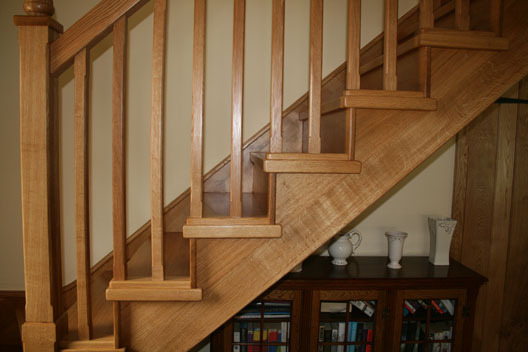 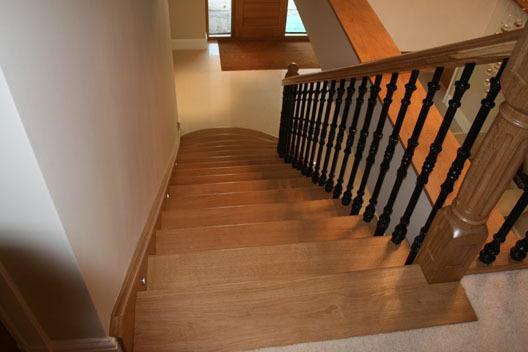 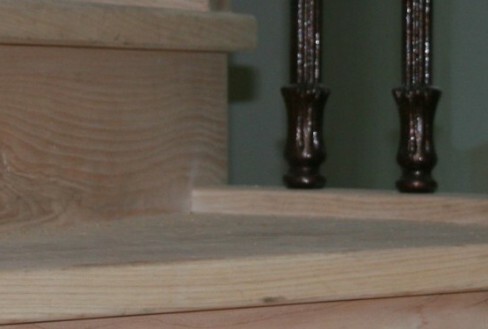 We offer staircases in a wide range of Grade A timbers and can tailor designs to your particular requirements, from the design of spindles, to the edging of treads. 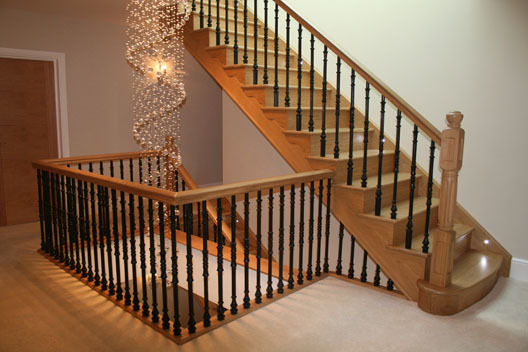 As an alternative to the traditional wooden balusters, British Spirals & Castings can introduce metal balusters to any of their staircases to create a stunning visual effect. 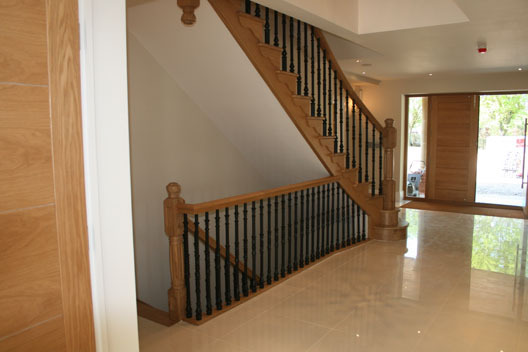 The metal balusters can be powder coated in any RAL colour. 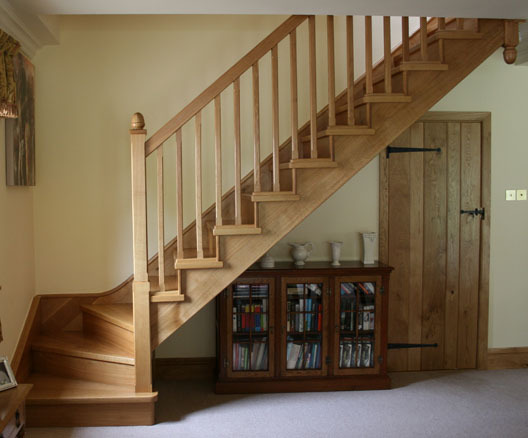 All our straight wooden staircases can be made with matching wooden balusters in a range of designs, creating a traditional feel to the staircase. 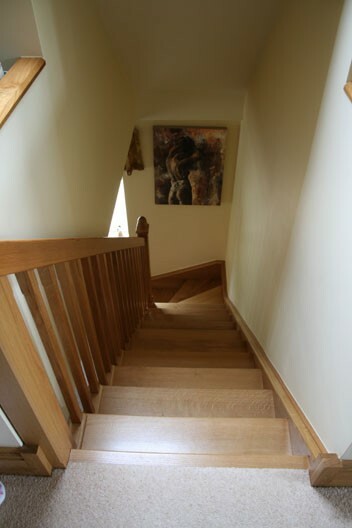 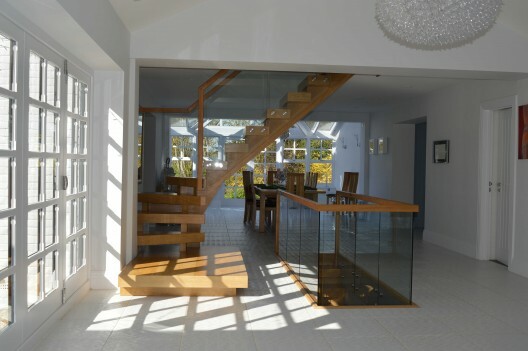 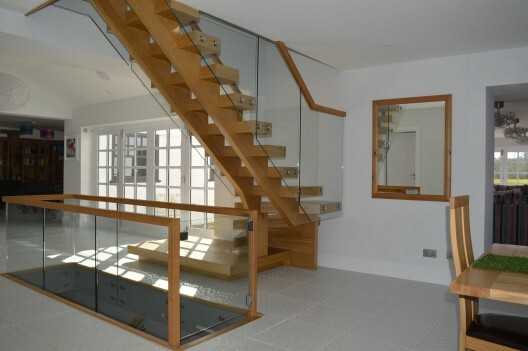 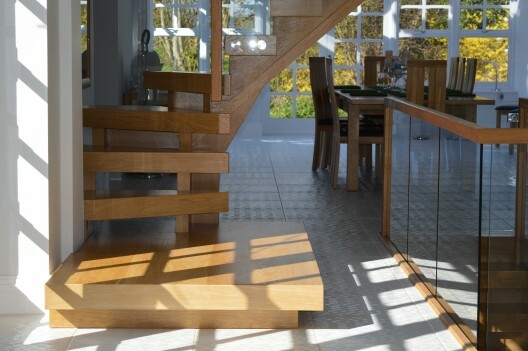 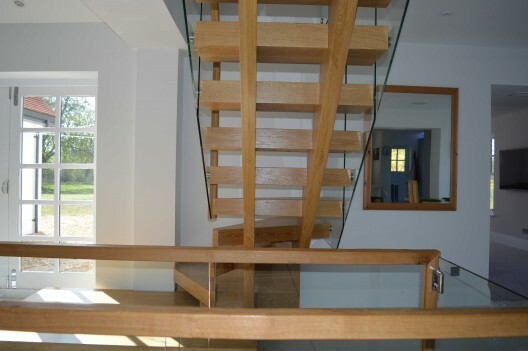 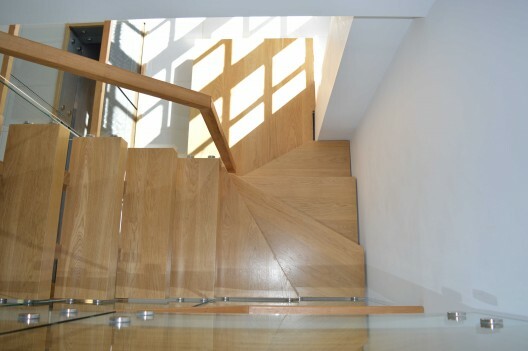 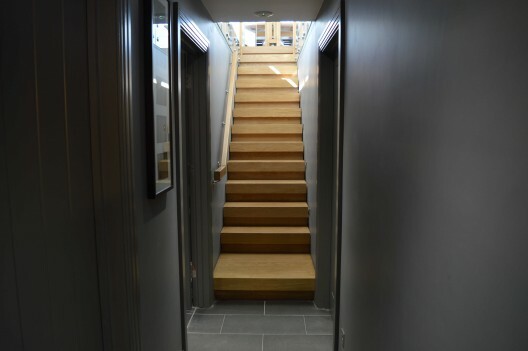 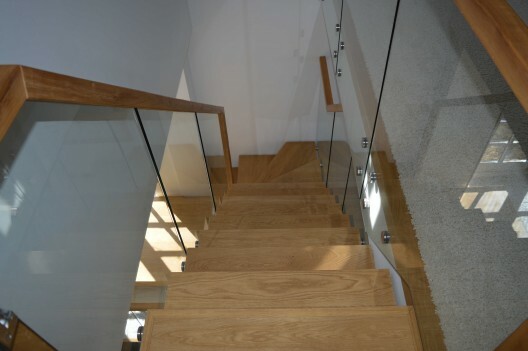 As all our staircases are bespoke and built to customers specifications, some clients opt to have a truly unique design of staircase which allows the customer to introduce other materials, such as glass, to create the perfect staircase.